?? - Compatible with XP, Vista, Windows 7 and Windows 8. Here's some artwork, the project is developing the images can vary. I'll be providing more info and images in the future. Nice. It looks like it is going to be a great game, Vairon. Thanks reneuend, I think this game deserves to be remade. On the other hand, what happens to the forum? It's dead. Don't know what to tell you about the forums? AM maybe dead if he doesn't back soon. Congrats Vairon for these pics !!! They're amazing, I think you've improved a LOT !!! I can't wait to see what your first pictures of the game look like. Any plans for promoting your work ? 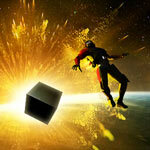 Social networks, Steam Greenlight, etc... ?? 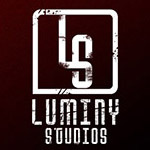 Does Luminy studio have a page on Facebook, to tell of its projects ? The forum is dead ? I always find new threads when I come here ! However, It's hard to make a community live when the soft is not used that much. AM needs an important update and a lot of advertising, unless GM has no more time for this soft. Which would be easy to understand, he's very busy. I'm always making some ad for AM when I talk of my game ASA on the net, but people don't seem interested in trying it. The fault is not having HD resolutions, most of the time. 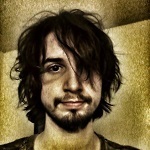 It's a shame, because AM is the most easy and fun software to create 1st person adventures ! Though I wonder if AM could handle HD resolutions ? The fact that it's being coded in VB doesn't seem to help. You are right, GM needs to give signs of life, otherwise gradually AM will disappear, this is the reality. Hi friends! I have more images from remake of BloodWood. I don't know if I will finish for the release date, there are more work than I expected, but I will try. So small pictures... But they seem great !! I love the level of detail, ambiance and colors. Good luck to finish the development, and don't care about the date ! Thanks guys for your nice words. @Simon: sorry for the size, I don't want them to be too big for not occupy much space. Then finish your new website and show us the gallery quick ! Very nice. The church is stunning, very detailed! About the other screenshot, the walls and floor are a little empty, perhaps some picture frames and more furniture will do the trick. Keep up the great work you are full of great surprises! I think there's enough furnitures, the design of the rooms is excellent. However, I wonder if you shouldn't work on some blurry reflection on the floor. It would add some details and react nicely with the lights. What do you think ? honestly, the pictures are great already. The exterior of the village is finished! the architecture is detailed, the vegetation is great (and I know how hard it is to make in 3d), and the ambiance is perfect ! I love the light from the moon with the fog. I would just recommend to blur a little the dirt texture in the foregound, or if you don't want to add blur, then maybe add some small stones and a bit of grass ? Wow. Nice! Very professional. I love this environment too! Yes Simon, I will add some stones and vegetation, I agree with you. to develope the rendering and effects and others.. Thanks domozo for your words. I agree with you, I think that a game creator should know about all matters (modeling, design, animation, music, textures...) though it is very difficult. Here there are many talented people. The website will be online very soon with all games from Luminy Studios and many surprises. Sorry for the delay but the wait is worth it. Gasp! I thought it was ready but then I saw "(original)". This is absolutely beautiful ! How is the development going ? I know it takes lots and lots of time to create pictures. Music and FX: 0% finished. Soon more info and more pictures. Thanks Vairon, and take your time Polish your game and make it perfect !! Do you have someone to do the music ? Bloodwood Remake in the Top 100 of IndieDB (77). Is this a joke?! I think it will be temporary, can not be real. No it is not a joke. The top 100 on IndieDB evolves very quickly and your game can be inside suddenly and then disappear the next day But it is great for you ! !